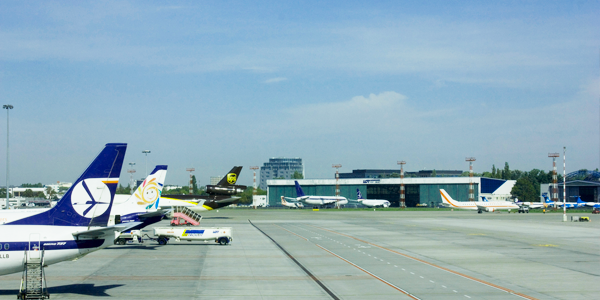 At ParkVia we understand Warsaw Chopin Airport Parking can be a stressful issue that we like to avoid thinking when it comes to booking a holiday, however, with ParkVia, we make sure we can offer the most hassle free booking process possible, offering the most competitive prices as well as giving you a secure space. We offer all types of parking at Warsaw Chopin Airport from on-site parking to park and ride and meet and greet, to give you the most flexible range when choosing what’s best for you. All car parks are open 24 hours and are safe and secure, with the added bonus of a free transfer to or from the airport whenever you desire. When working with ParkVia it only takes a series of simple steps for you to secure the ideal space for you, simply get a quote just choosing the dates and comparing car parks. Proceed to choose the car park and book online in seconds to eliminate any stress on your day of travel. Formerly known as Warsaw-Okęcie Airport, the airport bore the name of its Okęcie neighbourhood throughout its history, however recently changed its name. At Warsaw airport there is one main terminal named Terminal A, yet, there are still two Terminals, 1 and 2, they currently merge into one terminal at present. This terminal offers many shopping and dining opportunities to all of its visitors. London, Chicago, Frankfurt, Paris, and Amsterdam are the busiest international connections, with Kraków, Wrocław, and Gdańsk being the most popular domestic ones. Warsaw Chopin Airport flew almost 16 million passengers in 2017. Warsaw airports postcode is - 00-906 Warsaw, 1 Zwirkrand Wigury Str., Poland, for anyone looking to drive to the airport.